Contrary to the title, we are very much nearing winter down in the Southern hemisphere (5 days to be exact). However, during summer my skin is much more sensitive, acne prone and I experience maximum oil production. 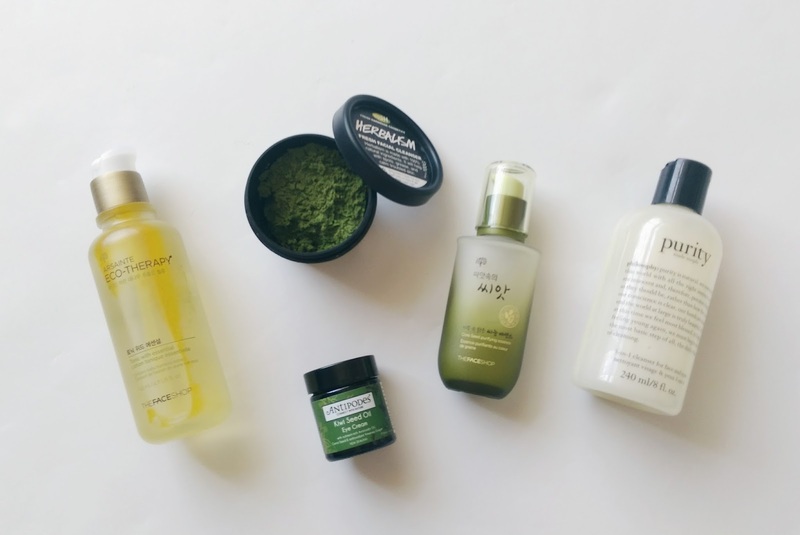 These are the products I stuck to during the hotter months as well as some extras to help with the acne. 2. Philosophy Purity made simple- I purchased this cleanser through Mecca Maxima during Christmas sales and used it every evening with my clarisonic in the shower. It works wonderfully and I loved the clean but not squeaky feeling. 3. The Face Shop Arsainte Eco-therapy Tonic With Essential 145ml – Long name. In short it’s a toner with bamboo extract and a layer of golden palm oil to moisturise and calm. 4. 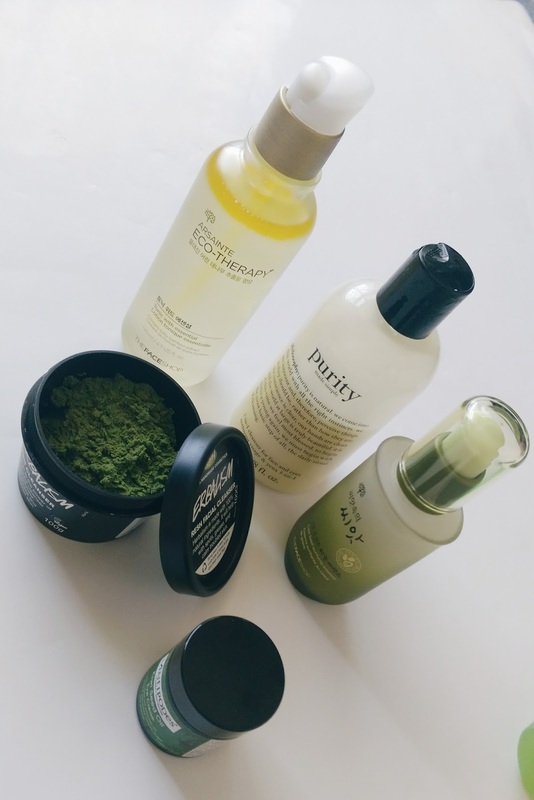 The Face Shop Core Seed purifying essence – Mainly aimed at whitening and wrinkle care, I enjoyed using this product knowing it is GMO free and absorbed easily. 5. Antipodes Kiwi Seed Oil eye cream- For all the late nights I’ve been having I decided to try out this highly acclaimed eye cream. Turns out I like this the most out of all the products mentioned above (asides from Herbalism) because the formula is very moisturising yet light and absorbs quickly. I just feel refreshed every time I use this so thumbs up! 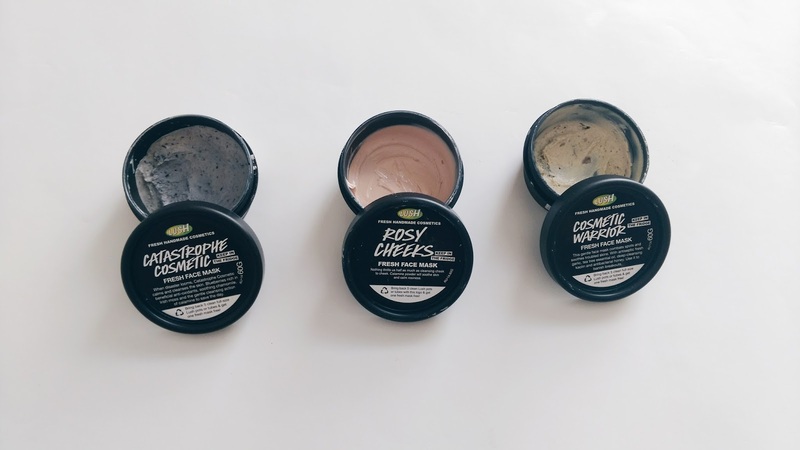 Lush Face Masks – This was my first time trying out Lush’s face masks recommended to me by an awesome girlfriend. At first the containers were deceivingly small but with a fridge life of 2 weeks (due to the ingredients) I’m sad to say I wasn’t able to finish them all… even with the help of two sisters. I found that ‘Catastrophe Cosmetic’ and ‘Rosy Cheeks’ were somewhat sandy in texture and didn’t like as much as ‘Cosmetic Warrior’. I’d have large crumb like bits of the mask fall off my face when I used ‘Catastrophe Cosmetic’ for even just a teensy bit longer than I was supposed to. ‘Cosmetic Warrior’ was my favourite and I enjoyed inhaling the strangely odd scent of egg white and garlic in the mask. As for the effect, they all left my skin feeling soft and clean so goody. Lastly, two super super useful little gems. 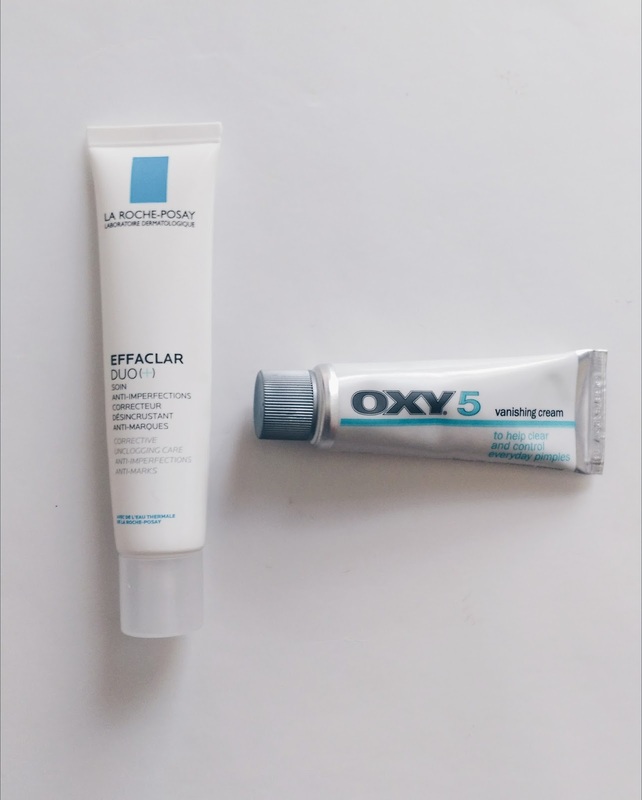 La Roche Posay Effaclar Duo [+] – The first time I used this, I treated it as a spot treatment. I felt indifferent, disappointed and ended up throwing away the expired half-used tube. The second time round I used it properly all over my face and pleasantly noticed how my skin looked brighter, I was experiencing less breakouts and it did help with scarring yay! Definitely recommend. Oxy 5 Vanishing Cream- I haven’t tried too many spot treatments but I found myself reaching for this every time around that time of month because it does exactly what it says on the packaging, ‘clear and control pimples.’ There wasn’t a burning sensation when you apply it and it doesn’t leave any dried out, powdery product behind. Lightweight and absorbs well, this one’s become an essential. 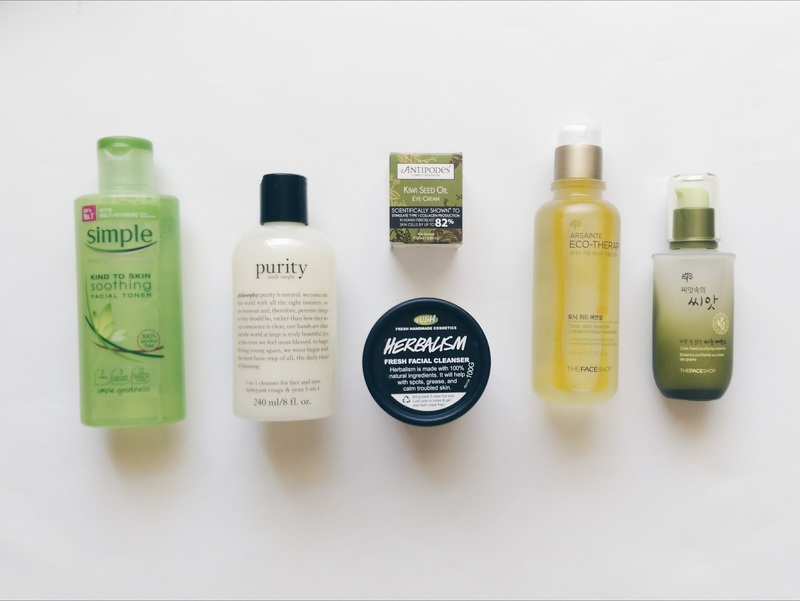 Hope this has been useful and that you find these products as great as I did.